Great for large family breakfasts, lunches and dinners. Adjustable surface for flipping eggs to draining bacon. 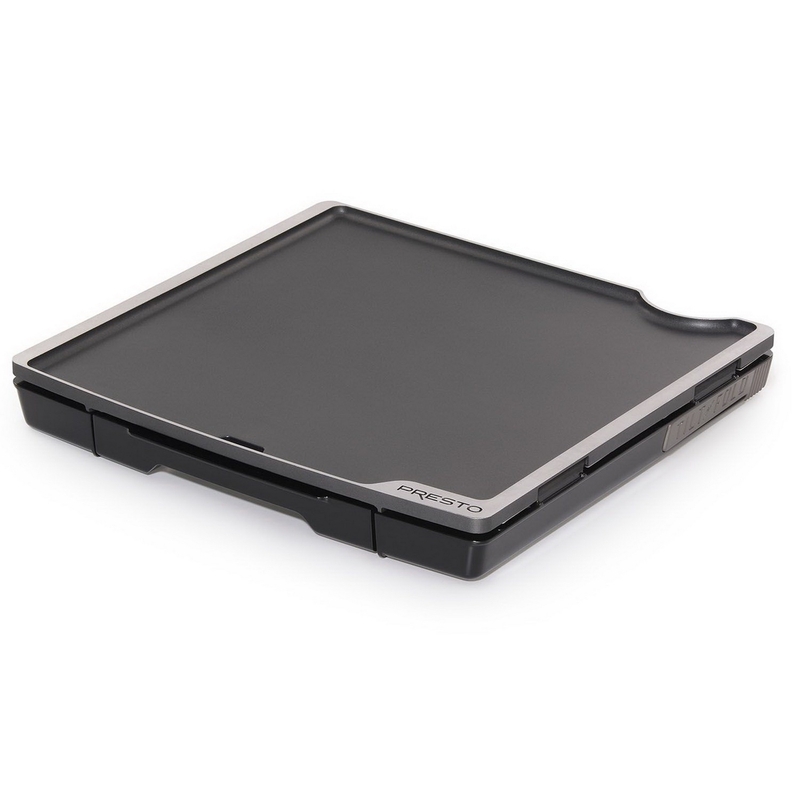 Heavy-cast aluminum griddle is nonstick & nearly warp-proof. 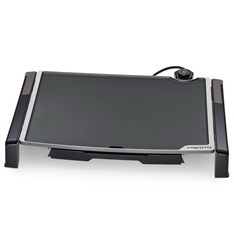 Take the stress out of cooking for big family gatherings with the extra-large Presto Tilt-n-Fold Griddle. With 19 inches of cooking space, there's plenty of room for cooking large batches at breakfast, lunch or dinner. 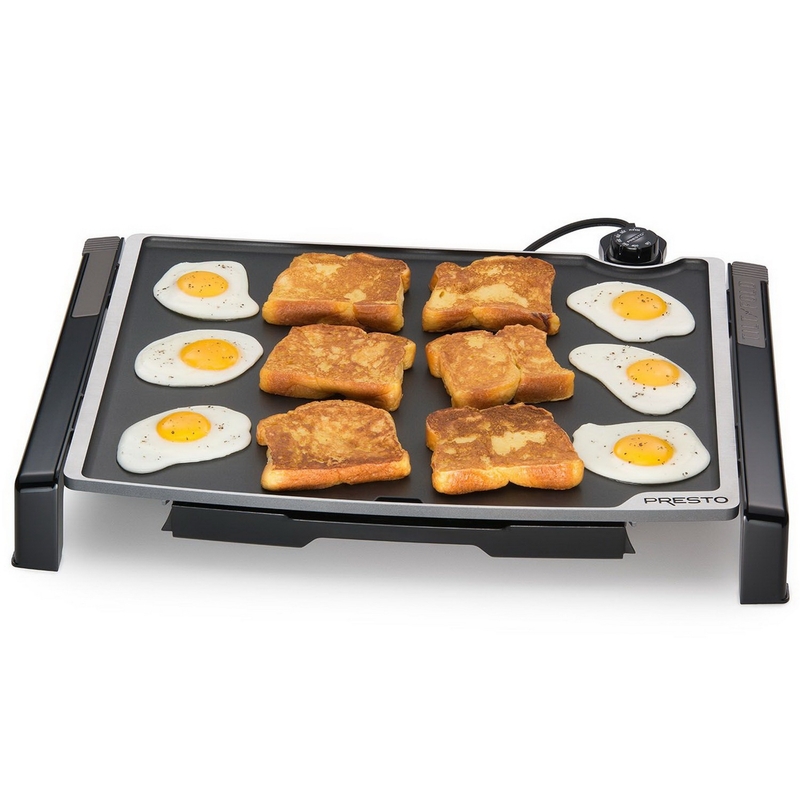 The griddle offers a level cooking surface for eggs and pancakes and easily becomes a tilted surface for draining meats with simple flip-down levers. The removable drip tray catches all the excess grease and oil for easy disposal and cleaning. 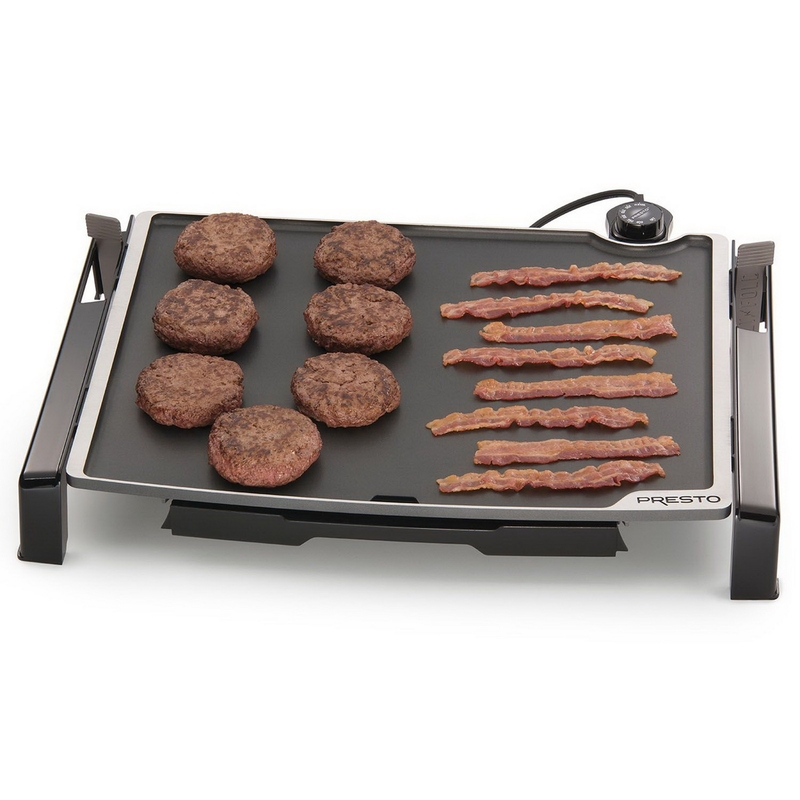 The heavy-cast aluminum griddle has a nonstick cooking surface for easy flipping of burgers and pancakes as well as easy cleaning. Maintain the desired cooking temperature with the Control Master heat control. Cleanup is a snap: the griddle is fully immersible, so just remove the heat control and wash with warm soapy water. And when it's time to store, simply fold in the legs and lock the drip tray into place to fit alongside your cookie sheets and other cookware. The griddle is designed to fit in most standard 18" kitchen cabinets.